If you monitor your Firefox installation (or portable copy) closely, you may have noticed a new system add-on called Web Compat since version 49.x. System add-ons are similar to add-ons that you install. The main difference is that they are not installed by the user but ship with Firefox or are pushed to Firefox when the need arises. The latter happened just a couple of days ago when Mozilla pushed two hotfix add-ons to Firefox 49.x to fix issues in the browser. The main advantage that system add-ons offer over shipping fixes with Firefox is that the method is faster, and that there is no increase in Firefox version. Mozilla can ship system add-ons quickly to fix issues or introduce features without impacting the release cycle. One disadvantage is that users get little control over these system add-ons. While you may not want to disable Web Compat for instance, you may want to do so with system add-ons like Pocket if you don’t use it. All installed browser extensions, user installed and system add-ons, are listed on the about:support page. The Firefox Add-ons Manager on the other hand lists only user installed add-ons but not system add-ons Firefox ships with. Open about:support in the Firefox browser and scroll down to the Extensions section. There you find listed all browser add-ons. Web Compat has been designed to ship web compatibility fixes to Firefox installations independently of releases. We’d like to create an empty stub in `browser/extensions/webcompat` for shipping webcompat fixes after a release has gone out. 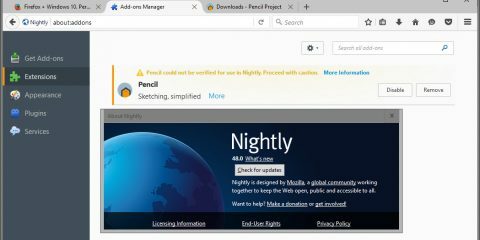 Basically, what this means is that Mozilla may identify compatibility issues and ship a fix for that issue to all Firefox versions without having to create and distribute a new Firefox release. This is quicker as mentioned earlier so that the issue has less of an impact for users of the browser. The fixes are usually integrated into the next Firefox release so that they get fixed this way as well eventually. This is especially useful when changes on websites or in apps prevent Firefox users from accessing a page, site or app at all, or if features don’t work because of this. The post The purpose of the Web Compat system add-on for Firefox appeared first on gHacks Technology News. Non-Americans Reveal Their 17 Favorite Foods They Can't Get Outside of the U.S.